Re-reading old favorites can be transformative. 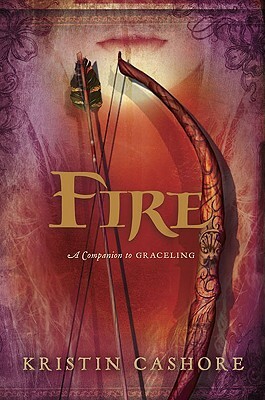 When I re-read Fire (the second in the Graceling trilogy by Kristin Cashore), I was deep in a reading slump. I had probably read 5 full books in the past year. I was working a terrible job that left me too tired to do anything but lie on the couch in front of a laptop and watch something on Netflix, hating life. I was a lifelong reader who didn't read and I although I was making enough money to support myself in Seattle during a tech bubble, I knew this wasn't the life I wanted to live. Fire wasn't my favorite of the trilogy, or it hadn't been the first time through, but by the time I finished it that second time, my face was salt-stained and wet. It was also morning. I got out of bed and looked in the bathroom mirror and recognized myself for the first time in what felt like years. At that moment I knew that I had to get back to books. My life depended on it. Re-reading a book that book changed my life. I know this all seems pretty dramatic, but I'm just giving an extreme example. I could have told you about re-reading The Giver (Lowry) as an adult and realizing that it did NOT end the way I thought it did when I was 9. Or re-reading The Golden Compass (Pullman) and realizing that it was so much more than the great adventure I had loved at 12. Or reading my mom's copy of The Other Wind (Le Guin) and seeing the passages she had underlined and recognizing lessons I've been trying to learn my entire adulthood. And so I re-read books. My mom (school librarian, fiber artist) does too. My dad (contractor, poet) does not. I don't think my brothers (architect, backpacker & engineer, gadget enthusiast) do, so much anymore either. What makes one book lover re-read and another not? After talking to a few customers and a handful of my coworkers, I've split the re-readers into two categories: emotional or comprehensive. When I say emotional, I'm talking about people who know how the book will make them feel and are in it for that. Comprehensive re-readers feel like they will get more out of a second read. The non-re-readers mostly say they think they'll come back to the books and just never do, but other responses I've gotten are that they 1) don't want to spoil what they enjoyed the first time around, 2) wouldn't want to experience it again, 3) they know it would never be the as good as the first time. Of course, the majority of us re-read, or have re-read. We work in a bookstore. It's no surprise that a bunch of book-crazed nerds re-read our favorites, or at least plan to in the future. Those of us that no longer re-read, or re- read less do so because we feel like we've got to stay on top of the new releases. I think re-reading is wonderful, but not essential. I don't re-read every book I read. I think if it makes you examine the story or yourself more closely, you have learned, and thus gained something. Reflection is important and I believe it cannot be underestimated. 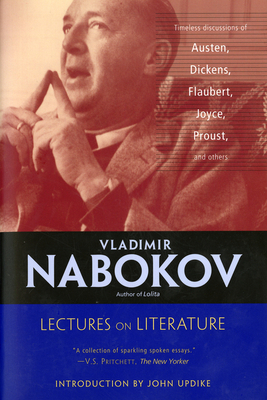 I am not alone in being a fan of re-reading; in Lectures on Literature, Nabokov wrote: "curiously enough, one cannot read a book: one can only reread it. A good reader, a major reader, an active and creative reader is a rereader." What do you think? Are you an emotional re-reader? Comprehensive? Or do you have another reason for re-reading? Tell us in the comments! Kitri enjoys listening to what has been described as "sad kitchen music". She is close to perfecting her brownie recipe, and fears one day accidentally roasting her dog, who is just a little chicken. Kitri is the only person in the history of the world to have ever laughed at Kitri's jokes, and she doesn't mind all that much.